Year end is fast approaching. For most people, the holidays will mean gathering, reunions, holidays, happy times and of course— gloriously delicious food will always be part of the menu. How did you fare during XMas dinners/feasts? 1. Being very careful with food- and do not take or just take an itsy tiny weeny food in the ‘forbidden list’. 2. Take everything- but high calories food in moderation and control. Load up on fibre such as vegetables and fruits first. 3. Completely throw caution in the wind- it’s the time of the year to eat, eat and eat more. You’re very disciplined. But if you are on the type of diets that restricts carbs, fat, sugar, etc, it’s quite a challenge. You come out of it feeling glad that you will not gain the seasonal 5 pounds. It’s great for those of us who have learnt to genuinely enjoy the company of others without associating the happy times with food. But if we get through because we force ourselves not to eat it but still think about our favourite foods most of the time, it’s only a matter of time before we finally break our resolve. I have come to realise that the secret of sustained weight loss lies in moderation and portion control. Seldom people are able to keep the weight off for good by following restrictive diets such as low carbs, low fat or no sugar. 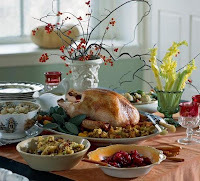 You’ve learned to take food in moderation, and enjoy delicious food served in family gatherings. Plan days of more activities, either to the gym, or go for walks, or exercising at home. At the same time, reduce food intake slightly for the following week- taking care to cut down on anything with sugar (especially sodas) and pastries. If food craving comes along, load up on more protein and low Glycemic Index food (like citrus fruits, vege, whole grain bread). could not stand restrictive diets anymore. The sight of delicious food and happy ambiance set by loved ones are too much to bear. seldom got a chance to enjoy home cooked dinners as career taken them away from family. Too sick of take-outs and so-so cooking skills- so at family dinners- can’t help but eat. emotional/mindless eating (means we eat while talking and actually don’t really pay attention to what we’re eating). suffer from sugar/carbo cravings- the more they eat, the hungrier they get and the more they eat. Tend to overeat not only at XMas dinners but all the time because of years of eating processed/high sugar-starch food had resulted in carbo cravings. If you have eaten a rich lunch, go for aerobic activity in the evening. If you have eaten a rich dinner, go for aerobic activity by the next day. This is because the carbos you have taken would have been stored as glycogen in your muscles. Before they are turned into fat, exercise to burn them off. But don’t over-exert and end up injuring your muscles. Plan your workout and stick to it for the next 2 weeks- arrange your schedule to incorporate your workouts. As for food, it will be better to take vege and fruits higher in fibre. This helps to clean up the greese and whatever stuff that’s still stuck in your digestive track. On your lunch plate, fill up 2/3 with vege– maybe stir fried or boiled. Avoid those vege cooked in oil, sweet sause, fried or processed. For the other 1/3, it can be chicken breast steamed or cooked with minimal fat. still eat whatever I like- but kept the amount in moderation (means I do not eat till I feel sick or can’t walk). find that I enjoy better rather than wasting time scrutinizing what to eat and what I can’t or criticizing the food choices with my friends (and probably ruining their meals). I remembered when I was on the low carbs vegetarian diet during my company’s annual dinner last year, I found there was so much of food that was off my list and I did not really enjoy myself coz I was thinking about what I can or cannot eat. A friend of mine made a joke about how I tried to ruin his appetite by preaching about why he should not eat meat while he was trying to enjoy some roast chicken and lamb. I try to be more mindful of eating, means, try not to stuff food absent-mindedly into my mouth while talking or listening to friends. Sometimes, if it is the food I really love like fried Shanghai biscuits served in Chinese wedding dinners, I’ll take more than I should. go for workouts as soon as I can, either increase the frequency or intensity of the sessions. will also turn the following few days’ diet into more fibre (because generally after dinner, I will take up feeling tired the next day and eating fibre and natural foods helped). Sometimes in the evening, I have a very light dinner and go to the gym instead.